Saturday was Flirt’s first experience at a beach. 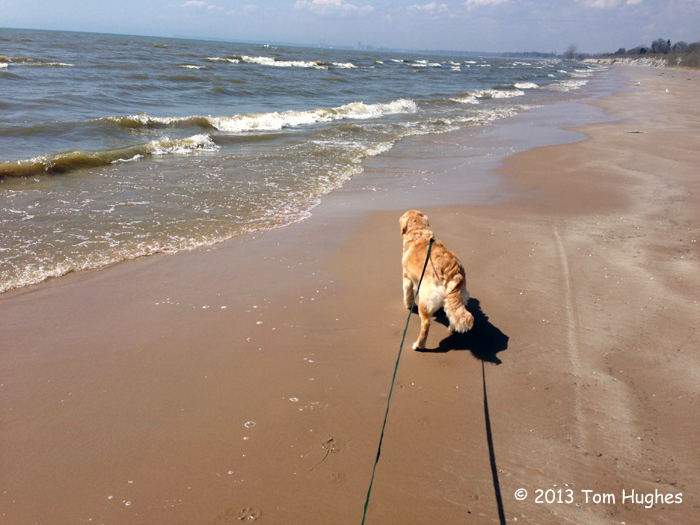 It was this 7-month-old Golden Retriever’s first meeting with a large body of water (Lake Michigan) — and waves. Hesitant at the beginning, Flirt was a water dog at the end of the day. What turned the tide (pun intended) was her curiosity about a rock in the water . . .